Eleven holes on Little Copperhead have water hazards but No. 14 looks different than the others. PALM HARBOR, Florida – Sheila Johnson’s Salamander Hotels & Resorts company, had an extraordinary two days last week. 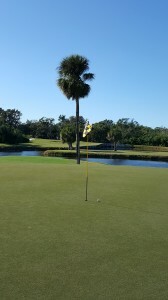 On Thursday Salamander re-opened its Jack Nicklaus-designed Hammock Beach course in Palm Coast, Fla. It had been closed for a 13-month restoration. The next day Salamander put on a festive celebration to mark the re-opening of the North Course at Innisbrook Resort, located in Palm Harbor – part of the Tampa Bay area. 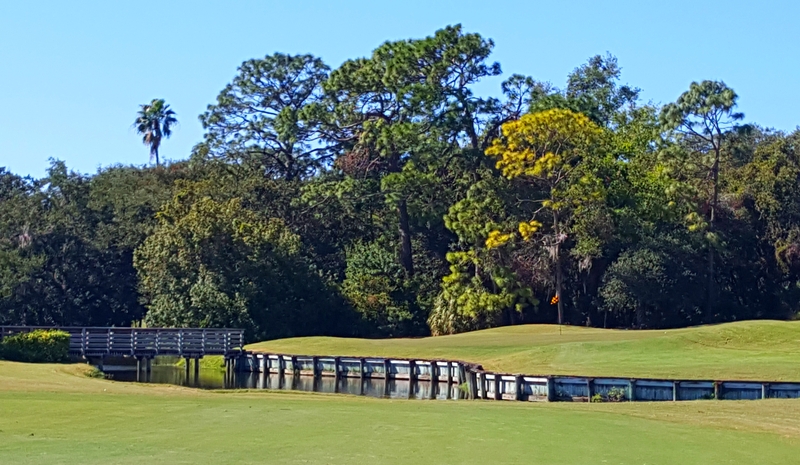 Innisbrook’s North Course is frequently referred to as “Little Copperhead’’ because of its connection to the PGA Tour layout that’s also on the premises. The big Copperhead is more famous as the site of the Valspar Championship in March. The renovation at Little Copperhead took about half as long (six months) as the one at Hammock Beach but it may go down as more impactful. 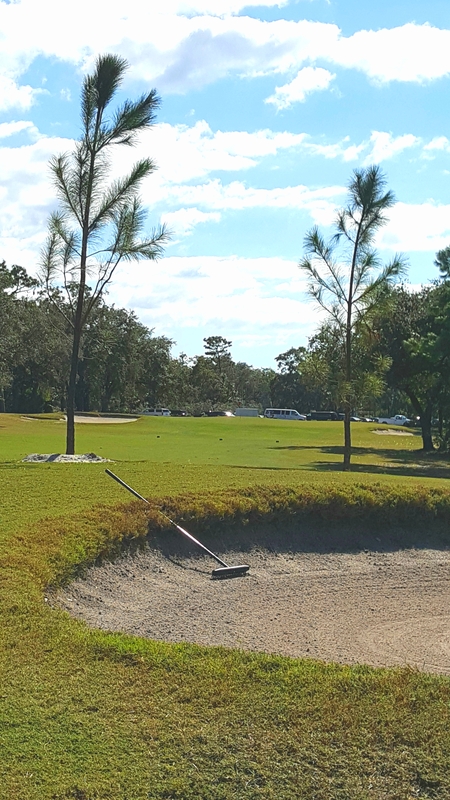 Little Copperhead is part of one of Florida’s busiest resorts and it’s going to draw plenty of raves once the tourist season kicks into high gear in the next few weeks. 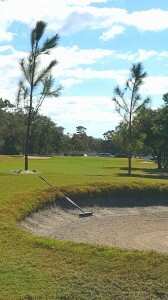 The work done at Little Copperhead centered on the putting surfaces. Director of golf Bobby Barnes envisioned an update of the North Course for two years before it became a reality. Williams has been in his current job only eight months, but he had worked at Innisbrook previously when Hilton was the resort’s manager. Williams spent 25 years working at various locations for Hilton, then was executive vice president for Crescent Hotels for five years before deciding to “retire’’ at Innisbrook. Williams and his wife will soon move into a house they are having built near the No. 10 green of Innisbrook’s Island Course. His eight months on the job, though, haven’t been the life of a retiree. In addition to dealing with the uncertainly of Hurricane Irma’s October visit that wreaked havoc with the entire state Williams worked immediately to gain approval for the Little Copperhead renovation. That delighted Rob Koehler, superintendent of the North and South courses at the resort, and Bobby Barnes, the director of golf. Koehler and Barnes had dreamed of doing the North Course renovation for two years. The new greens on Little Copperhead played like they’d been there for years at the Grand Opening..
Those new greens played during the grand opening round as if they had been there for years. Those who have visited the course in the past will also note three new trees on the first hole, two more on the right side of the No. 18 fairway and three palms that now outline the island green at No. 5. Koehler managed virtually the entire project. That’s particularly noteworthy, in that no new architect was deemed needed. The original layout designed by the legendary Larry Packard is still very much in evidence. The sizes of the greens were expanded where shrinkage had occurred over the years, and that will allow for additional pin placements now. That’s always a good thing. Packard designed all four courses at Innisbrook, and Little Copperhead merits a special place in the resort’s history. Nine of its holes were once part of the Copperhead course, which opened in 1972. Packard designed the two Copperheads nine holes at a time and the back nine of the North Course was once part of the premier layout. The biggest difference between the “big’’ and “little’’ Copperhead is length. 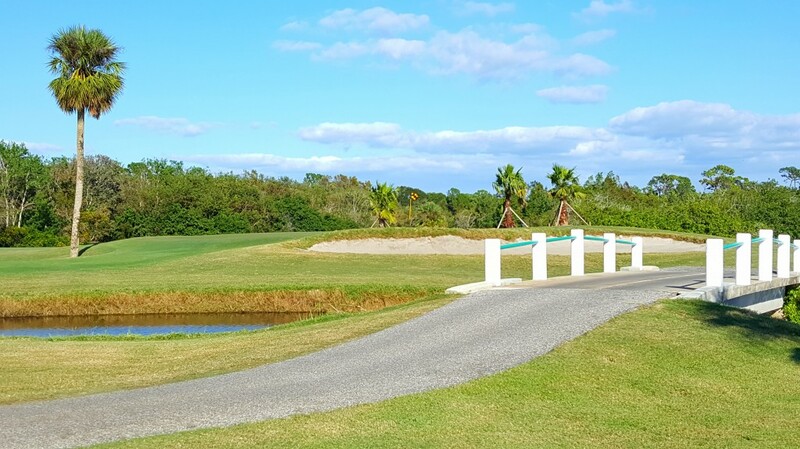 Little Copperhead – the North Course – measures only 6,325 yards from the back tees. It has an unusual quirk with back-to-back par-3s at Nos. 15 and 16 and plays to a par of 70. Big Copperhead is 7,209 yards and a par 71. Though already hosting a professional tournament for 25 consecutive years, both the U.S. Golf Association and PGA Tour have toyed with the idea of bringing a major championship to that layout. It hasn’t happened yet but, down the road, who knows? No. 18 received two new trees to enhance another of designer Larry Packard’s trademark doglegs. Packard finished his storied career – he designed over 600 courses — at Innisbrook. Before moving there in 1984 he worked on the courses with his son Roger. Though not achieving the notoriety of his father Roger was a successful course architect as well. He started working with his father in the Chicago suburb of Hinsdale and, teaming with two-time U.S. Open champion Andy North, designed two of Illinois’ best courses — Cantigny, which has 27 holes in the Chicago suburb of Wheaton, and The General, at Eagle Ridge Resort in Galena. Roger created three 18-holers at Eagle Ridge. The first course the Packards worked on together, though, was at Innisbrook. They joined forces on the Island Course, which opened in 1970 as Innisbrook’s first 18-holer. Recently lengthened and renovated, it has hosted U.S. Open qualifiers, the Ladies PGA Legends Tour and the NCAA Championships. The Packards worked on courses together for about 15 years before Roger eventually went out on his own. In addition to his work in Illinois, Roger designed Sweetwater – a course located on what was then the Ladies PGA Tour headquarters in Sugar Land, Tex. The LPGA later moved from that area to its present location in Daytona Beach. Larry Packard also created the South Course, which contrasts with the others at Innisbrook in that it is more links-style with 10 water hazards. Larry was an Innisbrook resident until his death in 2014 at the age of 101. 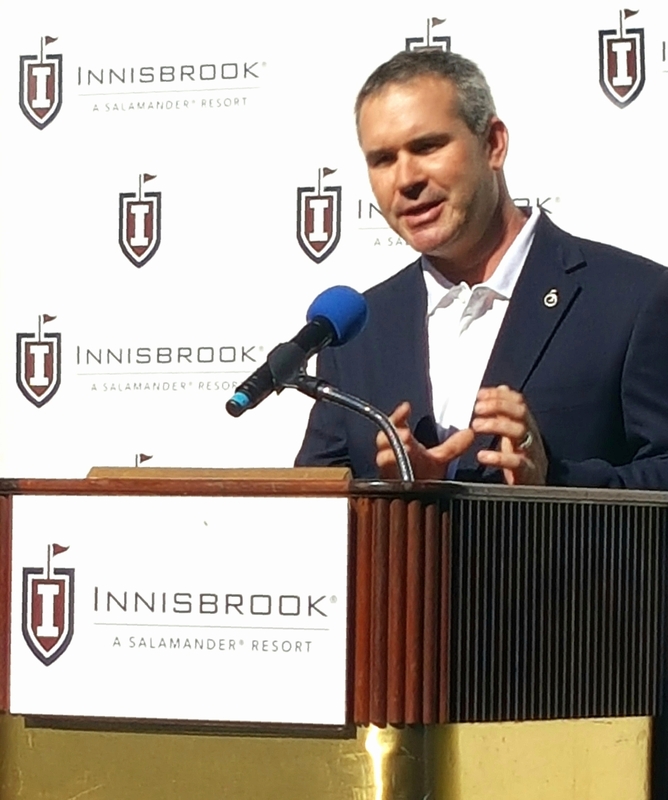 Roger was on hand at Innisbrook to celebrate the 2015 re-opening of the Copperhead course following a major renovation. He had done most of his work in China in recent years before being stricken with esophageal cancer. Roger moved back to Palm Harbor to seek the aid of the same care-giver that his father had in the final months of his life. Roger died on Oct. 14 in Palm Harbor. He was 70. The island green at No. 5 has been enhanced with the addition of some new trees.